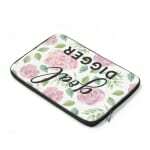 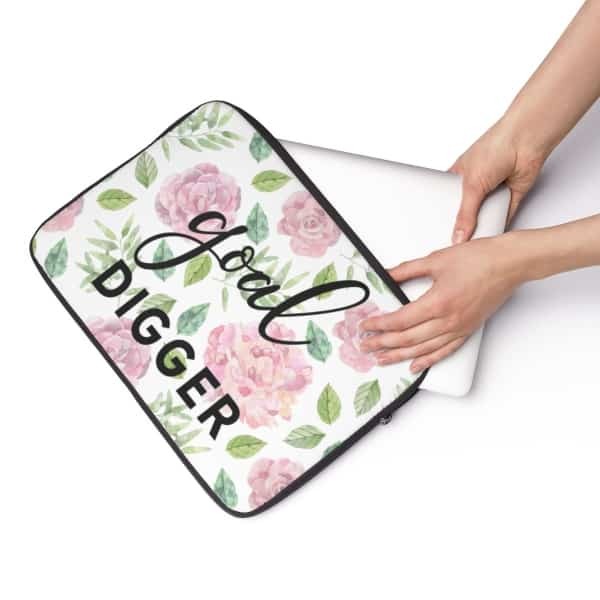 Carry your laptop with style! 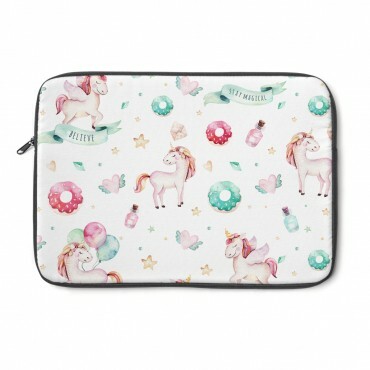 This high-quality sleeve is available in three sizes and will protect your laptop from scratches and minor impacts. 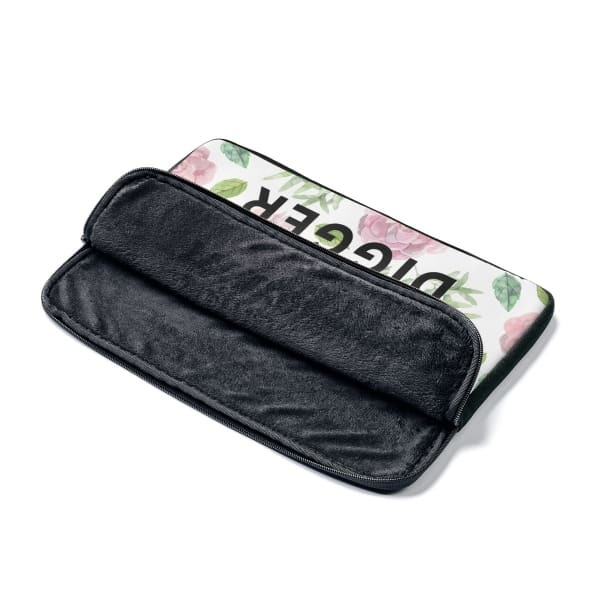 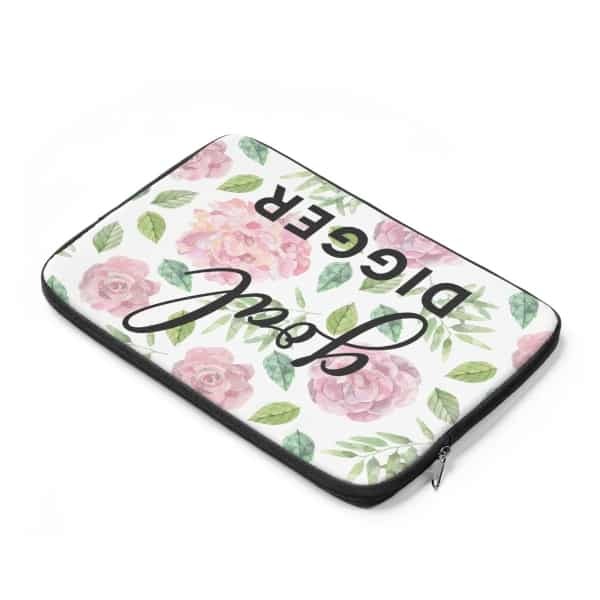 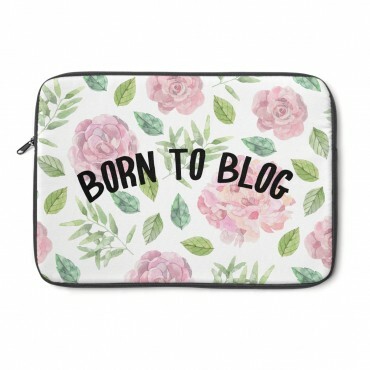 Printed on one side with a custom-made design, this stylish laptop sleeve is the perfect accessory to bring along to coffee dates and blogger events. 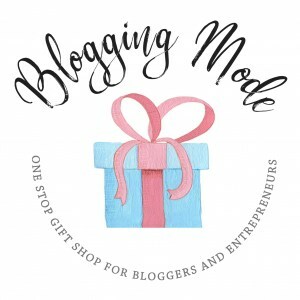 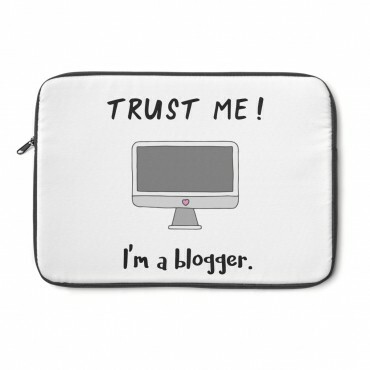 Ideal gift for entrepreneurs and online creatives. 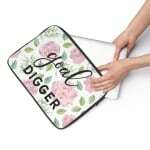 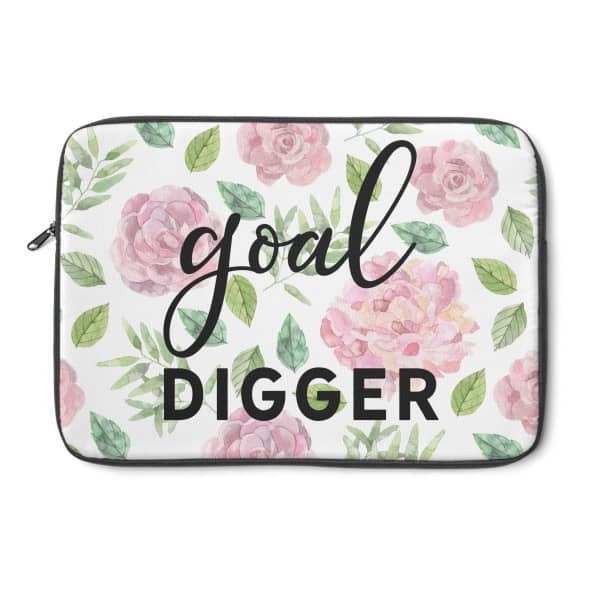 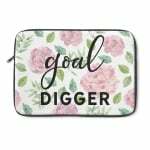 The print reads as follows: Goal digger.